When Mercedes-Benz first introduced the concept version of the 2015 Mercedes-Benz S-Class Coupe to audiences at the 2013 Frankfurt Auto Show, their reaction was nothing short of amazed. The curvaceous exterior styling was such a hit that the design team decided that very few changes needed to be made to create a production model ready for sale to buyers in Aurora, Boulder, and Westminster, CO. The result is a new S-Class Coupe that embodies all of the luxury and style of the S-Class sedan in an incredibly sleek coupe style body that will be available to discerning buyers in the fall of 2014. Most manufacturers make significant changes when going from concept car to production model. However, the designers at Mercedes-Benz were happy with the reaction to their new Mercedes-Benz S-Class Coupe. In fact if you were lucky enough to attend the Frankfurt Auto Show or see pictures of the concept car, you might feel as if you were experiencing a certain level of déjà vu. Not only does the new 2015 Mercedes-Benz S-Class Coupe feature a relatively high waistline, the roofline is low and lean. The coupe is significantly shorter than its sedan counterpart is, as the wheelbase is only 116 inches instead of 124 inches. Thanks to the low, rakish roofline, the coupe is 2.7 inches shorter. Bear in mind the S-Class Coupe is only available as a two door model, perfect for driving in and around Colorado Springs and Denver. The 2015 Mercedes-Benz S-Class Coupe comes equipped with LED headlights as standard mounted in the same diamond style grille first seen on the CLA-Class. For those who are among the first to become proud owners of a new S-Class Coupe, the Edition 1 model will feature 47 Swarovski crystals that have been embedded in the headlight housings. Standard power for the 2015 Mercedes-Benz S-Class Coupe comes in the form of the 4.7 liter twin turbo V8 seen in the S 550 sedan. This powerful V8 sports 449 horsepower and pushes out a healthy 516 lb-ft of torque. Here in the U.S. the S-Class Coupe comes equipped with the 4MATIC® all-wheel drive to ensure you can handle any driving conditions. All of this power converts into 0-60 mph times of 4.8 seconds, making those trips between stoplights in downtown Denver a lot more fun. When you combine this with a seven speed shiftable automatic and the 4MATIC® drive, handling winter driving conditions has never been easier. 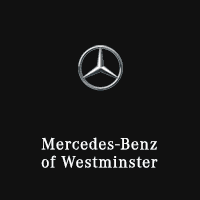 Add in the “curve tilting function” a Mercedes-Benz first that lets the car lean into corners in a similar fashion to a motorcycle, and you have a car that sticks to the road in the tightest curves found in the Westminster area. Exterior Styling and power are only a part of the big picture, it’s still what’s on the inside that counts. Buyers in Colorado area will find that Mercedes-Benz has made use of the finest materials for the interior. You can even order yours with superior grade Napa leather in three new colors including porcelain, Bengal red, and saddle brown. The touch sensitive TFT screen seems to float in front of the top layer of the dashboard and is standard on all S-Class coupes. The standard entertainment package features a Burmester surround sound system, which can be replaced with a 3D system from the same company. You can also order a full color heads up display that automatically adjusts for brightness based on the amount of ambient light picked up by a rooftop sensor. The roof features a panoramic glass that can be adjusted from almost clear to completely dark at the press of a button, perfect for those bright sunny summer days. Buyers will find the 2015 Mercedes-Benz S-Class Coupe to be a sophisticated blend of style, technology, and luxury. The all-new 2015 Mercedes-Benz S-Class Coupe will be coming to Mercedes-Benz of Westminster this fall. Call us to make an appointment to take one for a test drive as soon as they arrive.